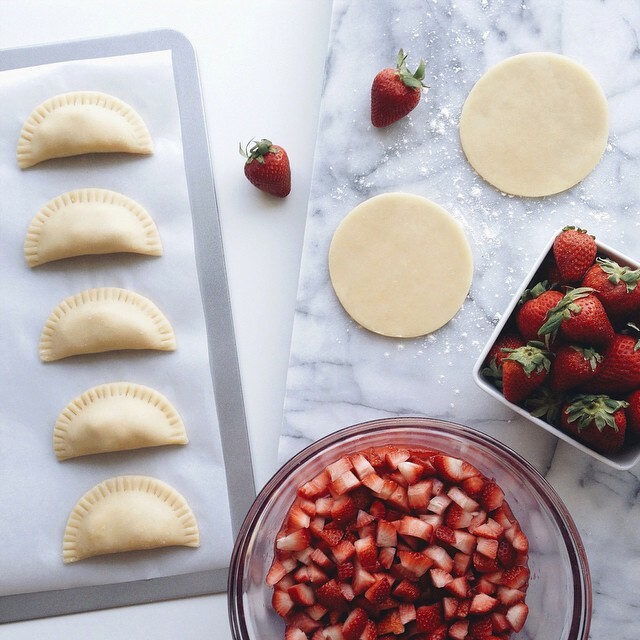 Strawberry rhubarb empanadas in the making (or shall I say, mmmpanadas!). Because when one of your friends has surgery after a career-ending fútbol injury, you bake them a little post-op pick-me-up! These tasted like heaven… I still have to drive them down to San Diego this weekend, and I don’t know if they’re gonna make it, tbh.